In the interest of millions of stratified property owners, the Strata Titles Board needs to be set up and quickly brought into operation. MILLIONS of Malaysians live and undertake commercial activities in strata sub-divided buildings these days. These stratified buildings can vary from low-cost apartments to high-end condominiums and from shopping complexes to commercial office towers. But whenever there is a cluster of people living and undertaking business together as a community in one sub-divided building, and sharing the same resources and facilities, there are bound to be multifarious problems. The most common problems involve stratified residential buildings, particularly in respect of the operations of management bodies and payment and collection of maintenance charges. Currently, the Strata Titles Act 1985 (Act 318) and the Building and Common Property (Maintenance and Management) Act 2007 (Act 663) govern the maintenance and management of stratified buildings. Acts 318 and 663 are respectively under the purview of the Natural Resources and Environment Ministry (MNRE) and the Housing and Local Government Ministry (MOHLG). > Act 318 applies to buildings managed by a management corporation (MC) which has come into existence because separate strata titles for individual parcel units have been issued. > Act 663 applies to buildings managed by a joint management body (JMB) before the inception of the MC. 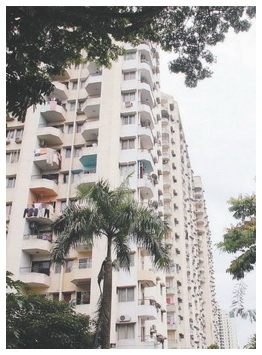 Prior to Act 663, the developers were responsible for maintenance and management of such buildings after completion until the MC was established. It is good to know that the above ministries are currently working furiously together to improve Acts 318 and 663, with assistance from the Bar Council, so that the new amendments can come to grips with the exigencies of modern community living in stratified buildings. It is hoped that the amendments will also simplify and streamline such laws into one single statute as in the case of the Building Maintenance and Strata Management Act (Cap. 30C) of Singapore. As regards the operations of the MC and JMB, the residents’ interest in participating in its affairs can range from one of insouciance to one of over-zealousness. There are some cases, particularly involving lost-cost apartments, where not even a single parcel owner is interested in offering himself to be elected to the Council of MC or Joint Management Committee (JMC) of JMB. As a result, some buildings are without a Council or JMC. Yet at the same time, there are also cases where various factions among the residents vociferously vie for control of the MC or JMB. Some altercations even end up in court. Things can easily come to a boil because the current provisions regulating the conduct of meetings of Council and MC, and JMB and JMC, are not comprehensive enough. (1) Only proprietors and not proxies can be elected to Council of MC. (2) Each proprietor, be it an individual or a corporation, is entitled to nominate only one Council Member regardless of the number of parcel units he/it owns. This is to prevent any owner, especially the developer who still owns unsold parcel units, to monopolise the MC or JMB so that the interest of the minority is protected. (3) In the absence of a Strata Titles Board (the Board), the Commissioner of Buildings (COB) has power to adjudicate on issues on management of stratified buildings as provided in section 3 of Act 663. (4) Any person dissatisfied with the decision of the COB must appeal to the State Authority and not to the court as provided in section 41 of Act 663. This is a sound judgment, and for the avoidance of doubt, points (1) and (2) above should be incorporated into the Second Schedule of Act 318. > To avoid unnecessary politicking and infighting from the beginning, the chairman of general meetings of the MC need not be elected from among those present. The chair of the meeting should just be the chairman of the Council. > It should be made clear that only one co-proprietor is entitled to be elected to the Council. > A same person should not be a proxy of more than one proprietor. This is to prevent a person who has a conflict of interest such as an estate agent to indirectly control the outcome of the Council elections. For example, it is not difficult for a popular estate agent who handles almost all the tenancies and sub-sales of the units in the same condominium to mobilise and get the majority of the proprietors to appoint him as their sole proxy. The proprietors, mainly the illiterate ones and foreigners, who may also be his clients, will most likely appoint him for reasons of convenience. But this will be detrimental to the interest of the minority if the estate agent’s position becomes so entrenched that the Council is unable to interfere with his dealings which will affect the value of the condominium units since he controls the rental rates and sale prices. It is axiomatic that if any Council member should incur his wrath, he can be easily voted out by this single powerful proxy. This will result in a Council becoming subservient to a proxy who may not even be a proprietor himself. > The mandatory by-laws or house rules for stratified buildings as set out in the Third Schedule of Act 318 are clearly out of date. These by-laws should be capable of being amended by unanimous approval in a general meeting of the MC. The other perennial problem is the difficulty in collecting maintenance charges from parcel owners. This has serious consequences resulting (especially) in some buildings like low and medium-cost apartments becoming abandoned and ending up as enclaves for illegal activities. It is now abundantly clear that current recovery provisions in Acts 318 and 663 are not adequate to compel errant parcel owners to pay the maintenance charges, especially the recalcitrant and habitual defaulters. The fact that it is also a criminal offence for non-payment of charges does not seem to frighten them simply because up to this day, not a single prosecution has taken place albeit some MCs have lodged several police reports. Likewise, the case of John Denis De Silva v. Crescent Court Management Corporation, 2006 has prohibited the use of an otherwise effective recovery method – disconnection of water or electricity supply to the units of defaulting owners – because access to water and electricity is a fundamental human right. In fact, in many other countries, the subject properties of non-paying owners can be auctioned off after a court order has been obtained. To the law-abiding proprietors who always pay up, it is only fair that our authorities seriously consider enacting this remedy which is also available in Singapore’s Building Maintenance and Strata Management Act. In this respect, various pre-conditions to the ultimate exercise of this power of sale can be put in place to prevent abuse, but the fact that there is such a remedy to be resorted to is a strong deterrent against non-payment of maintenance charges. Lastly, it is sad to note that up to date not a single Board has come into operation in Peninsular Malaysia since Act 318 was amended on Dec 1, 2000, and again on April 12, 2007, to provide for the establishment of the Board for resolving disputes between proprietors and the MC as well as among the proprietors themselves. As the individual states have been inexcusably tardy or reluctant in bringing the Board into operation after more than a decade, the federal government must now, in the interest of millions of stratified property owners, expeditiously ensure either the Board is quickly brought into operation or replaced by a different body of dispute resolution. Do you mind giving me the citation for Gurney Tower Management Corporation case. You are amazing blog writer . Your blog decorated on '' Property Management '' that is important sphere of modern life . Also , I loved your blog . In many places, there is a variety of housing kinds that those looking for a position to rental will never have difficulties looking for one that meets their taste and style. information for self managing landlords, it will be very easy for anyone to discover the type of area that they are looking to rental out whether for individual, double or close relative’s occupancy. For personal resorts, you can opt to rental and remain in a maintained apartment, a residence unit or select from one of the stunning homes that are preferably cost, well-maintained and very accessible. Thank you for your Demand able Blog .